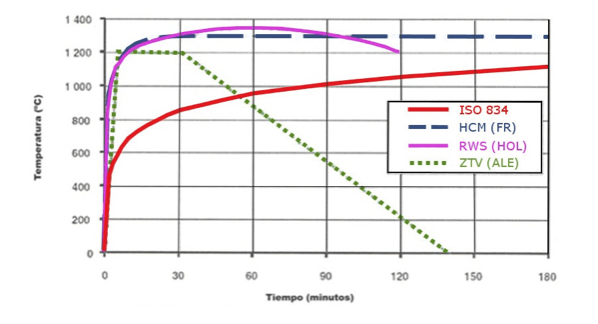 The time-temperature curves are mathematical formules that regulate the temperature in a test furnace as a function of time. Its function is trying to assess and compare the different behavior of the building materials in the same fire scenario. 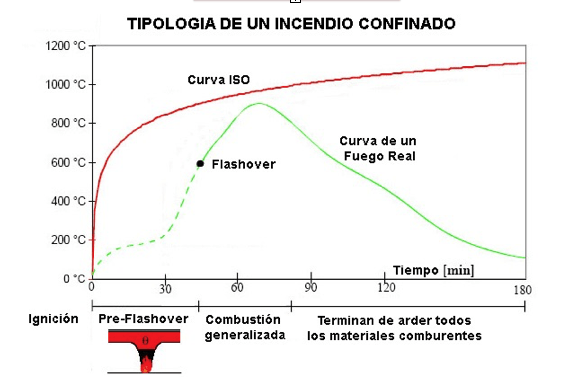 This ISO complies with the two necessary requirements (always increase), which allows us to arrive always at the collapse of different construction materials to establish comparisons being more demanding than most of the usual fires. The most demanding, called “Rijkswaterstaat” is known as RWS. It is used in Holland and reaches 1,300 degrees Celsius in 30 minutes, being also important theHCM or Greater Hydrocarbons Curve because it is demanded in France for Steps of tunnels The Germans use the ZTV. 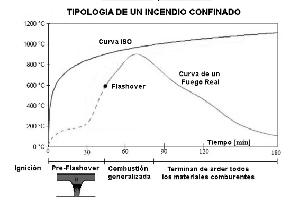 The Petrochemical Industry also uses other types of fire curves, due to the type of fire that can be produced. 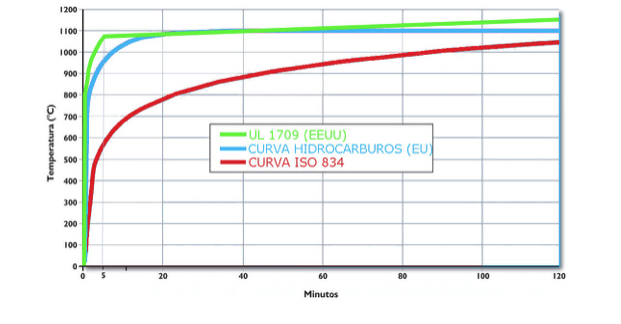 The two most common are: European Hydrocarbons Curve HC and American UL-1709.